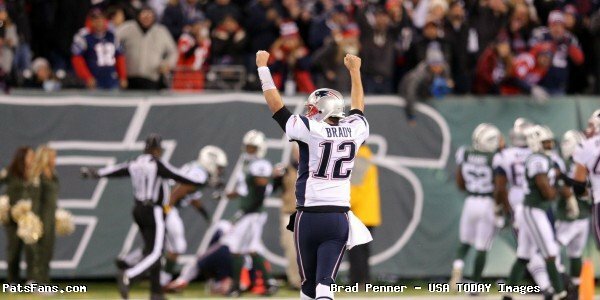 Patriots – Jets Key Matchups, Who Has the Razor’s Edge? The Patriots head back out on the road to meet their old familiar rival, the New York Jets on Sunday afternoon in the Meadowlands. This week’s game will be broadcast by CBS on Sunday, October 15 at 1:00 p.m. ET and can be seen on WBZ-TV Channel 4. Ian Eagle will handle play-by-play duties with Dan Fouts as the color analyst. Evan Washburn will work from the sidelines... The game will also be aired on the Patriots flagship radio station 98.5 The Sports Hub with Bob Socci and Scott Zolak on the call, produced by Marc Capello. The Patriots (3-2) got back on the winning track by downing the Tampa Bay Buccaneers last Thursday night 19-14.Stephen Gostkowski booted four field goals and Tom Brady threw the only touchdown of the game for the Pats to Chris Hogan. The Jets (3-2) beat the Cleveland Browns 17-14 for their third win in a row. Many people were thinking this Jets team wouldn’t win one game and now in Week 6, they are playing at home with a chance to take over the division lead. The Patriots and Jets are meeting for the 117th time. The Patriots hold a 61-54-1 edge overall. The Patriots are 28-29 all-time on the road against the Jets, including 4-3 at MetLife Stadium. The Patriots swept the season series a year ago and in the last meeting at the end of the season, the Patriots blasted the Jets 41-3 at Gillette Stadium.The Patriots have also won their last ten road games dating back to last season. The Patriots running game has been disappointing so far this season. Whether it is the offensive line or the running backs that are underperforming, perhaps a combination of both, they aren’t helping the passing offense. The Patriots average just 99 yards per game. Mike Gillislee leads the team with 246 yards and four touchdowns but his yards per carry (3.6) like that of the team (3.87) is not where the team needs it to be. The Jets run defense has struggled mightily so far this season. Gang Green has allowed an average of 143 yards per game. The Jets are the 29th ranked team against the run in terms of yards per game and 27th in rushing yards per attempt. This may be a time for the Patriots to establish something of a consistent running game. They gave Dion Lewis some more reps last week and he responded with a solid game. Gillislee also had a decent game as well last week. The Jets may go to a lighter defense to stop the Patriots passing game and this would be the time to assert the push up front and get the running game going, not to mention not allow an opponent to pin their ears back and coming after the quarterback. The Patriots passing game has been clicking despite the amount of pressure that Tom Brady has been under and the number of times he’s been hit and sacked. It is capable of being even more explosive if Brady gets decent time to throw the ball. Having the running game improve would be a big boost. Brady has plenty of productive targets in the passing game, Brandin Cooks, Chris Hogan, Danny Amendola, Rob Gronkowski should return this week as well as Phillip Dorsett, with James White and Dion Lewis out of the backfield. The Jets revamped their secondary this season and started it with two rookie safeties Jamal Adams and Marcus Maye who have come in as rookies and played much better than anyone could have hoped this early in their careers. They have two good corners in Buster Skrine and Morris Claiborne but they’ll face a much more potent passing game than they’ve seen thus far. One issue has been the lack of sacks, the team has just seven so far in 2017. Neither Leonard Williams or Muhammad Wilkerson have a sack yet this season. Gronkowski will present the rookies in the middle with a big matchup to watch on Sunday. But the Patriots have enough other weapons to force the issue with the Jets defense. With time Brady has proven he can pick apart anyone, even without a ton of time this season he’s lighting it up. Look for him to have another big day. The Jets have good running backs in Bilal Powell and Matt Forte but both of them are banged up and it isn’t known if they’ll play or how much on Sunday. But if they can’t go, the onus will fall to youngster Elijah McGuire who is a capable backup. The Jets running game looked excellent a few weeks ago against Jacksonville running for over 250 yards but then fizzled last week against the Browns, gaining only 39 yards on the ground. The Patriots run defense has been porous at times this season. With Alan Branch underperforming and riding the pine, they’ve been susceptible to runs up the middle. Ditto for having Dont’a Hightower missing time and then playing on the edge. They seemed to make some adjustments last week against Tampa Bay. They moved Hightower back in the middle on early downs and it helped. Now if they can get Branch back on the field and performing, it would be a bonus. Paging David Harris? The Patriots game plan will probably be to slow or stop the run and force the ball into McCown’s hands since he doesn’t have a deep group of playmakers. How well they do that slowing of the run will be an intriguing part of the game. Josh McCown is playing better than anyone expected this season. He’s completing about 71 percent of his passes although for just 1020 yards with five scores and four interceptions. Jermaine Kearse, Jeremy Kerley, and Robbie Anderson are the wideouts with Austin Seferian Jenkins is the tight end and he’s having a good season thus far. Like the Patriots, the Jets have given up a lot of pressure, McCown has been sacked 15 times on the season. The Patriots pass defense may have turned the corner a bit last week. Through three quarters playing strictly man coverage, they allowed just 110 yards. Look for more man coverage with Malcolm Butler and Stephon Gilmore this week. Jenkins will be McCown’s safety valve and a tough matchup. He’s already got the production that the Jets tight ends got all of last year. Kearse has seamlessly integrated into the offense and came up big with a 24-yard touchdown to seal the win against the Browns. We’ll see if the Patriots pass rush can get home more this week. The consistency hasn’t been there and this may be a good time to get it going. The Patriots’ Stephen Gostkowski made all four field goal attempts last week and is 12-12 on the season. I never worry about him on field goal attempts only with extra points…is that strange? Ryan Allen hasn’t been the same this season. He’s been inconsistent and needs to re-find his comfort level out there. Danny Amendola gave the return unit with a shot in the arm with a big 40-yard return. But the STs units committed four penalties in the game. Not good. The Jets counter with Chandler Catanzaro at kicker, who booted a 57-yarder last week and Lac Edwards at punter. But overall the Jets have been inconsistent on special teams this season. This one will pit old rivals who get renew unpleasantries with one another. There is never any love lost between the two teams or the franchises. Here is where we normally throw in the caveat that you can throw out their records since it is a divisional matchup but both teams come in with identical 3-2 records. I think it is imperative for the Patriots to get off to a good start this week. The crowd at MetLife Stadium will be loud at the start of this one. No one expected the Jets to be where they are right now. So, they’ll be loose and fired up. They’re basically playing with house money. The best way for the Pats to quiet the crowd is to get some distance quickly and get the crowd to sit on their hands. Turnovers will be key also. The Jets offense hasn’t been especially prolific so to make them match the New England offense score for score will be a difficult proposition. Not giving them any momentum or short fields with turnovers is important. On the flip side getting a turnover or two would be a big boost to a Patriots offense that has been moving the ball and scoring very well but hasn’t reached its optimum peak yet. This entry was posted in 2017 Patriots Season, NFL Commentary, Patriots Commentary and tagged 2017 Patriots Season, Bilal Powell, Bill Belichick, Danny Amendola, Dion Lewis, Dont'a Hightower, Jamal Adams, James White, Jermaine Kearse, Josh McCown, Leonard Williams, Malcolm Butler, Marcus Maye, Matt Forte, Muhammad Wilkerson, New England Patriots, New York Jets, NFL, Patriots edge rushers, Rob Gronkowski, Stephon Gilmore, Tom Brady, Trey Flowers on October 13, 2017 by Steve Balestrieri. Raise your hand if you saw that coming this summer. Don’t look now but the Jets are in first place. Yes they are, the J-E-T-S, Jets, Jets, Jets, have overachieved this season thru the first five weeks as Todd Bowles crew has bought into his system and his message. Many people believed that the Jets wouldn’t win one game in 2017, never mind three in a row as the players have ignored the noise and are gutting out wins. Bowles was saddled with a team gutted by the front office in a total purge of big salaries and most of the NFL pundits believed that they were tanking in hopes of getting the top pick in the 2018 NFL Draft to get the franchise quarterback that has eluded them. But Bowles, who is coaching for his job, not the #1 pick has the team playing hard every week. While their wins, especially last week against Cleveland wasn’t a pretty one, no one cares at the end of the season how many style points you have, wins and losses is the measuring stick. The surprising Jets are 3-2 and tied with the Bills and Patriots for the top spot in the AFC East, the Dolphins are a half-game back at 2-2. No one would have thought that they would be playing the Patriots in Week 6 with the top spot in the AFC East on the line. They’re playing with house money right now. I’d expect them to come out loose and ready to empty the tank in front of the home crowd in an attempt to steal a win away. The Jets have two of the better interior defensive linemen in the league with Leonard Williams and Muhammad Wilkerson. And while the two have been solid thus far, the one thing that has been missing so far is the sacks. Neither one has been able to notch a sack this season. This week they’re going against a New England offensive line that is giving up far too much pressure and sacks on quarterback Tom Brady. The Patriots quarterback has been sacked more in the first five games (16) than he was in all 12 games of 2016. So, this may be the week where those two look to get off the schneid. After releasing so many of their skill position players in the spring and suffering injuries this summer, the outlook for them was really not looking good this season. And while the team is still #26 in terms of yardage in the NFL, they haven’t been as bad as advertised. The running game with Bilal Powell is in the middle of the pack, 13th in the NFL averaging 111.4 yards per game. The passing game is currently 25th averaging just 189 yards per game. They are scoring an average of 18.4 points per game which is good for 23rd in the league. Josh McCown, the journeyman QB in his 15th season has played well. He’s completing 71.4 percent of his passes but for only 1020 yards thus far. Translation, he’s doing the things he needs to do and throwing the safe passes underneath for the most part. But his most impressive drive this year? Last week against the Browns, they stopped Cleveland on their three-yard line and McCown took them on a 97-yard touchdown drive that put the game away. While they’ve struggled at times, they’ve also had some good moments as well. But for the game, they managed only 212 yards and 34 on the ground. As of Tuesday evening, we don’t know if the Jets will be without running backs Matt Forte and Bilal Powell for Sunday’s game against the Patriots. Forte has missed the last two games with a turf-toe injury and Powell is dealing with a calf strain. He exited the game on Sunday with the Browns just before halftime. He’s listed as day-to-day. If those two aren’t able to go that would leave the job to rookie Elijah McGuire as the feature back and Travaris Cadet as their third down specialist. McGuire is a 5’11, 214-pound rookie out of Louisiana-Lafayette. He’s run well thus far in 2017 carrying the ball 34 times for 176 yards, good for a 5.2-yard average, including a big, 69-yard touchdown run against the Jacksonville Jaguars. He’s an athletic, good runner with good ball security and shows good acceleration in getting to the hole. He has deceptive speed in getting to the edge. He’s also a decent pass receiver out of the backfield and has caught five passes thus far this year. The Patriots will no doubt attempt to stop the run and force the Jets to beat them via the pass. So, we can expect that the play in the trenches will be key here. As of right now, Bowles told the press that the team doesn’t expect to sign another running back in the interim. The Jets big tight end should see a lot of action going his way in the passing game this week. With the Patriots primed to slow or stop the run, play action passing from McCown will have to be spot on this week and the Jenkins may be the guy he turns to first. Jenkins was one of the bright spots on an offense that didn’t have a great day against the Browns a week ago. He was targeted eight times in the game and hauled in six passes. While he gained just 29 yards, many of his receptions were just enough to keep the chains moving including a touchdown that gave the Jets the lead in the third quarter. Jenkins will get matched up with either a safety (Pat Chung) or one of the linebackers and this will be a big matchup to watch this week. Despite playing in just three games this season, the big tight end has caught 15 passes for 106 yards and a score. Jets tight ends in 2016 caught a combined 18 passes in 2016. The Jets asked him to drop some weight this offseason and he did. He lost 30 pounds and moves much quicker and has shown better hands thus far than he has in the past. Last season, the Jets defense was a mess and a lot of the struggles centered around weak play from the safety position. So they replaced Marcus Gilchrist and Calvin Pryor this spring by using a first and second-round draft picks to draft Jamal Adams and Marcus Maye respectively this April. To be fair, Gilchrist and Pryor were far from the only problems on the Jets back end last year. But the team felt they needed a big upgrade there and so far it has worked very well. Adams and Maye became the first rookie starting safety tandem in the league since the AFL/NFL merger. The two rookies have impressed from Day 1 and won their starting jobs this summer and have not looked back. Last year the Jets surrendered 13 plays of at least 40 yards in the passing game. Thus far in 2017, they’ve allowed one. This week, they’ll face a tough test in the form of Rob Gronkowski who Adams admits was one of the first people he thought of when he was drafted. Adams, in particular, has been very versatile. He’s lined up as a strong safety, free safety, nickel linebacker, slot corner, even splitting out wide as an edge corner a few times. The Jets took some heat drafting two safeties back to back but so far, they are performing even better than they could have hoped for and now offer positional stability for years to come. This entry was posted in 2017 Patriots Season, NFL Commentary, Patriots Commentary, Patriots News and tagged 2017 Patriots Season, Austin Serferian-Jenkins, Bilal Powell, Bill Belichick, Chris Hogan, Danny Amendola, Dion Lewis, Dont'a Hightower, Elijah McGuire, Jabaal Sheard, James White, Josh McCown, Leonard Williams, Matt Forte, Muhammad Wilkerson, New England Patriots, New York Jets, NFL, Patriots, Todd Bowles on October 11, 2017 by Steve Balestrieri. Patriots – Jets II Keys, Who Has the Razor’s Edge? 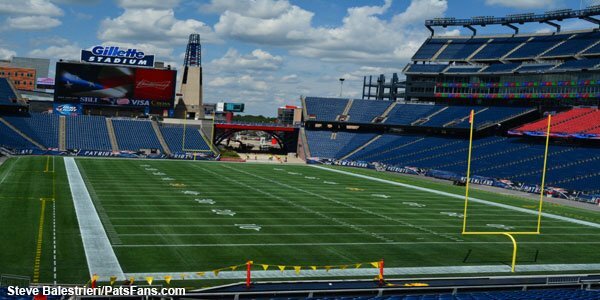 The New England Patriots return to the friendly confines of Gillette Stadium in Foxboro for their final regular season home game to take on the New York Jets. The game is scheduled for Saturday Christmas Eve, at 1 p.m.
CBS will televise this week’s game and it can be seen locally on WBZ Channel 4 in Boston. Ian Eagle will handle play-by-play duties with Dan Fouts as the color analyst. Evan Washburn will work the sidelines. The game will also be aired on the Patriots flagship radio station 98.5 The SportsHub with Bob Socci and Scott Zolak on the call, produced by Marc Cappello. The Patriots (12-2) improved to 7-0 on the road this season with a convincing 16-3 win over the Denver Broncos. Dion Lewis rushed for 95 yards and the Pats got three turnovers while holding the Broncos to just three points and shut them out for the final 53 minutes of the game. The Jets (4-10) were hammered by Miami last week. Career backup Matt Moore threw for four touchdowns in the win. QB Bryce Petty was hit hard and had to leave the game but is expected to play this weekend. The Patriots and Jets meet for the 116th time on Sunday in an intense rivalry that dates back to 1960. The Patriots hold a slight all-time 60-54-1 edge in the series that has been incredibly even and always tough. The Patriots hold a 32-25-1 edge overall at home and have won 9 of the last 11 meetings. The Pats won a close 22-17 win in the Meadowlands in the first meeting this season as Tom Brady hit Malcolm Mitchell with the game-winning touchdown pass with less than two minutes to go. Mitchell had a pair of touchdowns in the game. This entry was posted in NFL Commentary, Patriots Commentary and tagged 2016 NFL Season, 2016 Patriots season, Bilal Powell, Bill Belichick, Brandon Marshall, Bryce Petty, Buster Skrine, Chris Hogan, Darrelle Revis, Denver Broncos, Dion Lewis, Dont'a Hightower, Eric Decker, Jabaal Sheard, Julian Edelman, LaGarrette Blount, Malcolm Butler, Martellus Bennett, Matt Forte, Miami Dolphins, Muhammad Wilkerson, New England Patriots, New York Jets, NFL, Patriots, Patriots edge rushers, Quincy Enunwa, Robby Anderson, Ryan Fitzpatrick, Sheldon Richardson, Todd Bowles, Tom Brady, Trey Flowers on December 23, 2016 by Steve Balestrieri. 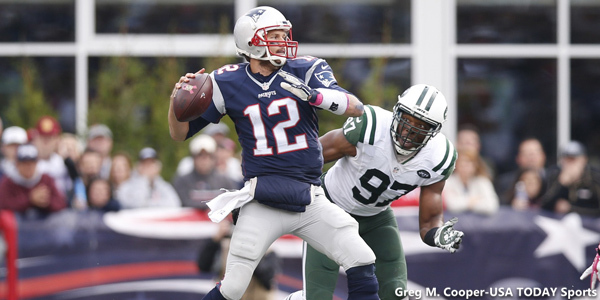 The Patriots offense scuffled for most of the afternoon against the New York Jets on Sunday. But with 5:04 to go and 83 yards away from the end zone, Tom Brady rose his game up and carried the team on his back, as he’s done so many times before. Brady led the game-winning drive hitting Malcolm Mitchell for the game winner and the Patriots had a gritty come-from-behind 22-17 win over the Jets. Like all games against Gang Green, it was a marathon, not a sprint and the Patriots had to slog their way thru a variety of factors. The loss of Rob Gronkowski early in the game, Brady’s own knee injury which definitely was a factor, as his passes were uncharacteristically sailing on him all day long and the Jets themselves, who brought their A-game on an otherwise forgettable season. 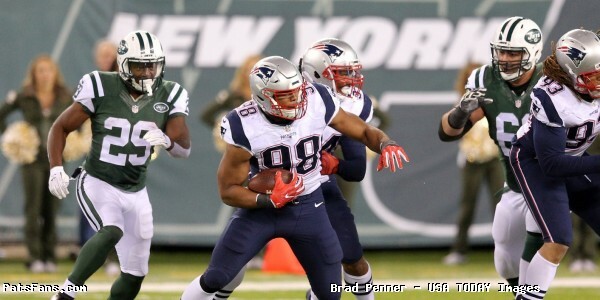 The Jets had taken the lead on a tremendous catch by Quincy Enunwa in the back corner of the end zone and had to stop the Patriots and Brady just one more time to come away with their biggest win of the season. Their defense had been playing great all day. But these are the times when Brady, even a wounded one elevates his game. Brady appeared laser sharp when it counted most and he hit on some big passes, a 24-yard strike to Julian Edelman got things going. But the biggest was the 4th down, 4-yard pass to James White, who dove for the sticks and just barely made the key first down to keep things going. As usual, Brady deflected praise to others and called it a “championship-type” play by White. On the next snap, he fired a laser to Chris Hogan deep down the middle to put them in the position to win. By then there was no doubt how that drive would end. Brady then hit Mitchell for the game winner, the rookie WR had a pair of touchdown catches, both against Darrelle Revis and the Patriots had an ugly but very satisfying win against their oldest and most heated rivals. His day included a number of key milestones. Brady tied Peyton Manning for the most career wins by a QB with 200. He passed the 60,000-yard threshold early in the game and the comeback win was the 50th of his NFL career. Brady stressed the team aspects of his accomplishments and stated that it had been a long week for him and the team. And he improved overall to 22-8 against the Jets. It was a win that characterized mental toughness and Bill Belichick knew that his comments, as well as those of Brady, echoed that sentiment. They took the Jets best shot and although far from their best found a way to win. Brady, as usual, led the way. Just like he did 199 times before. Mitchell is rapidly becoming a trusted weapon in the offense: While Mitchell’s numbers on the stat sheet won’t necessarily wow anyone, he made five catches for 42 yards, he converted two of those into scores. The rookie WR had the first two-score game of his career and he’s earning the trust factor with Brady. His numbers on the season are a modest 16 catches for 235 yards and three scores but expect him to earn more looks as the season plays out. 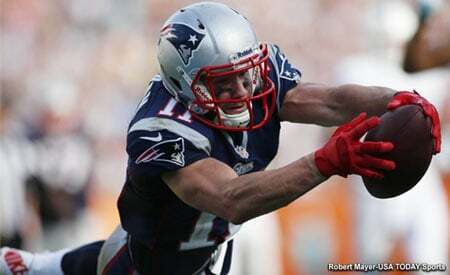 The first score was a broken play where Julian Edelman ran a Jet Sweep and knocked the ball out of Brady’s hand. Brady alertly picked it up and found Mitchell at the back of the end zone, who beat Revis to end an important first half drive to tie things up. Brady tried the deep ball in the end zone later to Mitchell, the ball was thrown about 3-4 inches too long and just went thru Mitchell’s fingertips. But it didn’t deter Brady to going back to the young WR again at crunch time. The Pats ran a bunch route on the left side and Mitchell had just enough separation from Revis to haul in the pass and just make it inside the pylon for the winning touchdown. Welcome to New England Chris Long: Okay Long has played well for most of the season but his strip sack of Ryan Fitzpatrick was huge and arguably the biggest play of his professional life, considering he played for so many poor-to-middling Rams teams. That caused the second and most importantly last turnover of the day for the Patriots defense. Earlier Malcolm Butler, who didn’t have the greatest afternoon, forced a fumble ending another Jets drive. Long showed great explosion off the snap and beating his man on the edge and just got his hand on Fitzpatrick’s arm causing the fumble that the Patriots recovered and put the game away. For a defense with still in search of an identity, it was a huge moment. Still Questions at CB and LB: The Patriots are still mixing and matching at both the cornerback and linebacker positions and we may see that depending upon individual matchups the rest of the season. But the Jets second WR, Quincy Enunwa, who had struggled for the past two games lit up the secondary for five catches, 109 yards, and a touchdown. After a hot start with five catches in the first half, Brandon Marshall had just one in the second half. The Pats mixed up a combination of Malcolm Butler, Eric Rowe, and Logan Ryan and will probably stick with that for the foreseeable future. With big games looming against the Ravens and Broncos, they’ll have to step up their game. At linebacker, they once again used several players opposite Dont’a Hightower, getting Elandon Roberts, Shea McClellin, and Kyle Van Noy in the mix. Each had some good and bad moments but overall the effort was good enough. Overlooked aspect, the run defense: Coming into the game, the two keys the team wanted to stop was the Jets running game and their backs out of the backfield. And they accomplished both. The Jets were 3-0 when Matt Forte had 25+ carries and the Patriots knew this. Both Forte and Bilal Powell are dangerous receivers out of the backfield as well, something the Patriots have struggled with. They did a bang-up job against the run holding Jets runners to just 64 yards on 23 carries, a 2.7 yard average on the day. The Jets longest run on the day was just seven yards. And they held their backs to just four catches for 30 yards out of the backfield. It wasn’t perfect, Van Noy was beaten by C.J. Spiller on a wheel route but Fitzpatrick’s pass fell short, but overall this was a big factor in the Patriots victory. Is Gostkowski a player they can rely on? This question would have sounded ludicrous a year ago, but after 11 games it is now a legitimate one. The kicker’s struggles continue and today, he missed a very makeable 39 yarder that before was automatic. He did make three more field goal attempts on the day as well as two extra points, but he’s not the same guy he was before that costly miss in Denver. Was the Patriots decision not to attempt a game-winning 52-yard field goal and go for it on 4th and 4 as well as an earlier attempt just gamesmanship by Belichick or was it a lack of trust in the kicker? We’ll hear more of that as the week drags on but it is the $64,000 question now. Too Cerebral? Defense Seems to Be Passionless at times: Perhaps this is overstating it but there are times when the Patriots defense seems to be overthinking things a tad and trying to be coming up with a perfect answer and not playing with the speed that they are capable of. We know that this is a cerebral defense, but sometimes it seems like they are competing against themselves out there. It was General George S. Patton Jr. who stated that “A good plan violently executed today, beats a great plan executed next week.” Sometimes, just pinning your ears back and attacking midrange to poor quarterbacks such as Fitzpatrick may be a better equation than always trying to outsmart them. Granted….once again they allowed only 17 points but the game certainly had a different feel to it. Blount and Bennett get high marks: Martellus Bennett was leaned on with Gronkowski getting injured early in this one and then he got his ankle rolled up and played the rest of the game, like Brady in pain and obviously limited. He gets big kudos for gutting it out. Blount only got 11 carries on Sunday but against a tough Jets front seven, he made it count for 67 yards, especially when the team was trying to close things out. These two symbolized the team-first, can-do attitude that was a big factor in the team’s win. This entry was posted in Patriots Commentary, Patriots News and tagged 2016 NFL Season, 2016 Patriots season, Bilal Powell, Bill Belichick, Chris Hogan, Danny Amendola, Darrelle Revis, Dion Lewis, Dont'a Hightower, Jabaal Sheard, Julian Edelman, LaGarrette Blount, Malcolm Butler, Matt Forte, New England Patriots, New York Jets, NFL, Patriots, Patriots edge rushers, Rob Gronkowski, Rob Ninkovich, Ryan Fitzpatrick, Tom Brady on November 28, 2016 by Steve Balestrieri. The New England Patriots travel to the NJ Meadowlands to take on the New York Jets in the first of two divisional matchups between the two teams. The game was initially scheduled for Sunday Night Football but has been flexed by the NFL to a 4:25 p.m. kickoff. This week’s game will be televised by CBS and can be seen locally on WBZ Channel 4 in Boston. Greg Gumble will handle play-by-play duties with Trent Green as the color analyst. Jamie Erdahl will work the sidelines. The game will also be aired on the Patriots flagship radio station 98.5 The SportsHub with Bob Socci and Scott Zolak on the call, produced by Marc Cappello. The Patriots (8-2) improved to 5-0 on the road this season with a 30-17 win over the San Francisco 49ers. Tom Brady was the AFC Offensive Player of the Week for the 27th time in his career with a four touchdown-zero interception effort. 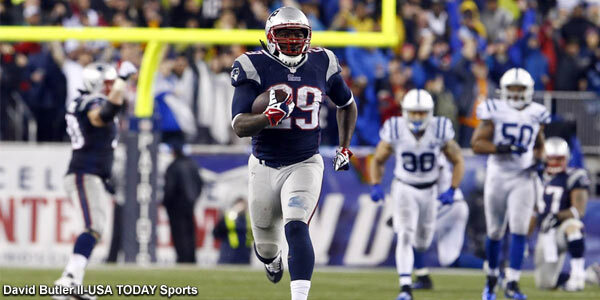 LeGarrette Blount led the running game with 124 yards on 19 carries. The Jets (3-7) are coming off their bye week. Two weeks ago, they lost to the LA Rams 9-6 as QB Bryce Petty in his first NFL start subbing for an injured Ryan Fitzpatrick could only lead the Jets to a single touchdown drive. Fitzpatrick is healthy this week and has been given the nod by coach Todd Bowles as the starter. The Patriots and Jets meet for the 115th time on Sunday in an intense rivalry that dates back to 1960. The Patriots hold a slight all-time 59-54-1 edge in the series that has been incredibly even and always tough. This entry was posted in Patriots Commentary, Patriots News and tagged 2016 NFL Season, 2016 Patriots season, Bilal Powell, Bill Belichick, Brandon Marshall, Buffalo Bills, Chris Hogan, Danny Amendola, Darrelle Revis, Dion Lewis, Dont'a Hightower, Jabaal Sheard, Julian Edelman, LaGarrette Blount, Leonard Williams, Malcolm Butler, Matt Forte, Muhammad Wilkerson, New England Patriots, New York Jets, Patriots, Patriots edge rushers, Quincy Enunwa, Rob Gronkowski, Rob Ninkovich, Ryan Fitzpatrick, Sheldon Richardson, Todd Bowles, Tom Brady, Trey Flowers on November 25, 2016 by Steve Balestrieri. The Patriots go back out on the road on Sunday afternoon as they’ll go down I-95 to the NJ Meadowlands to take on their heated rival, the New York Jets. It will be the first meeting between the two teams this season and the games are always close and hard fought. Forget about the records when these two teams meet. The Patriots (8-2), are coming back from the West Coast and a win over the San Francisco 49ers 30-17 on Sunday. 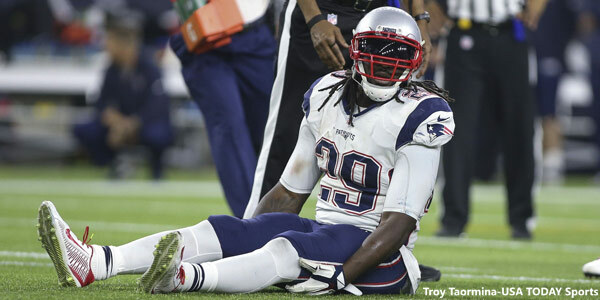 LaGarrette Blount ran for 124 yards on 19 carries and Tom Brady threw for four touchdowns and zero interceptions, the 21st time he’s done that in his career. The Patriots hold a two-game lead in the division over the 6-4 Miami Dolphins who have won five in a row. The Pats are now tied for the best record in the AFC with Oakland but the Raiders now hold the tie breaker for the time being, given their win over Houston. The Jets (3-7), were thinking playoffs after last season’s 10-win season but a tough early season schedule coupled with poor QB play has Todd Bowles’ group looking down at another disappointing finish. They went from QB Ryan Fitzpatrick to Geno Smith, back to Fitz, and gave rookie Bryce Petty the start before their bye week in the loss to the Rams. Now, Bowles is going back with Fitzpatrick this week. Bowles Going With Fitzpatrick, the right move this week: The QB carousel for the Jets is swinging back to Ryan Fitzpatrick this week and Bowles is hearing it from not only the media but Jets fans as well. And in part, the criticism is justified. The Jets went thru a protracted salary negotiation with Fitzpatrick this spring/summer and the QB ultimately bet on himself with essentially a big one-year deal. That has failed for both the QB and the team. Fitzpatrick has struggled mightily this season and leads the league in interceptions with 13 despite playing in less games than most of the starting QBs in the NFL. And with Fitzpatrick not in the Jets plans after this season, the time is right to see what they have in Petty. Petty started Week 10 while Fitz rested a knee injury and played fair in a 9-6 loss to the Rams. He completed 19-32 for 163 yards with a touchdown and interception. Bowles, however said now that Fitzpatrick is healthy, that he’s the starter and gives the Jets a better chance to win. And he’s right. We’ve seen Fitzpatrick play poorly, he’s a gunslinger and will take chances that may seem foolhardy at times. We’ve also seen him play well and that is the guy the Jets are hoping can turn things around this week. 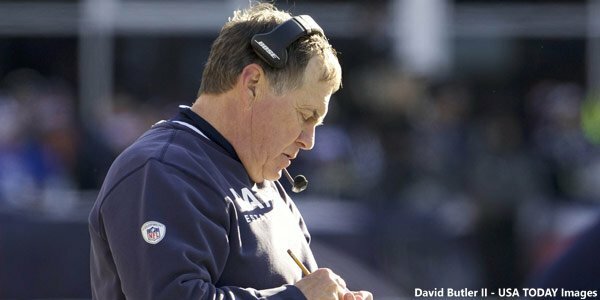 Facing a Patriots team with Bill Belichick, even with a defense that has been scuffling along lately, Petty in just his second NFL start was bound to see looks that he wouldn’t recognize and would no doubt struggle. Bowles doesn’t care about the media and fan criticism. His job is to win football games. And his job depends on that. There is still time to do a proper evaluation on Petty. The Jets aren’t going to make the playoffs, even if they were to run the table. And the cries of derision for him on Monday will turn to cheers from the fickle fans if Fitzpatrick can coax a victory over the Pats this week. Bilal Powell is the “X-Factor” for Gang Green This Week: The Jets brought in veteran running back Matt Forte this season and he’s the primary running back for Gang Green this season. He’s rushed for 732 yards and the Jets are 3-0 when he carries the ball 25+ times. But he’s been used less as a receiver this season than in his time with the Bears. That player has been Bilal Powell and he has the capability to be a game changer for the Jets this weekend. Powell only carried the ball 40 times this season but has racked up 272 yards and a touchdown, good for a stellar 6.8-yard average. He’s also hauled in 36 passes for 240 yards and a score. He’s gotten hot in the past two games with 11 pass receptions and the Jets only score against the Rams. Last year he had just 12 touches against the Patriots in the Meadowlands but went for 90 yards with seven rushes for 56 and five catches for 34 yards in the OT win. With a NE defense struggling to defend the wheel route and backs out of the backfield in general, look for the Jets to get him involved early and often. The Patriots Must Account for Williams on Every Snap: The Jets have underperformed as a group this year, but for Leonard Williams, their top draft choice of 2015, the season has been a success. Williams leads the Jets with six sacks and is tied for the team lead in QB hits with 15. Williams leads a very stout Jets run defense that allows just 85.4 yards per game and has 10 tackles for a loss included in his stats this season. While there have been some issues with his teammates Muhammad Wilkerson and Sheldon Richardson, specifically their tardiness in the news, Williams has soldiered on and is the guy the Patriots OL must account for on every play. Enunwa and Marshall Are the Go-To Guys in the Passing Game: Jets wide receivers Brandon Marshall and Quincy Enunwa are going to be the two main focuses of the Patriots secondary this week. Both got off to great starts in 2016, but with the slide of their QB play, their numbers are going down in recent weeks. Expect the challenge of playing NE this week to change that in a big way. Enunwa was a steal for the Jets when they drafted him in the sixth round (209th overall) of the 2014 NFL Draft. He’s caught 38 passes this season for 534 yards and three touchdowns this year, but in recent weeks, the Jets have really missed Eric Decker who was placed on IR. He’s caught just one pass each in the last two games, look for Fitzpatrick to get him involved early this week. Marshall is on pace for one of the least productive years of his career. The 11-year vet has 43 catches for 601 yards and just two touchdowns after having 62 for 800 and seven touchdowns in 2015. Part of the problem has been the QB play, part on the loss of Decker, but a foot injury suffered early in the season may be the most to blame. Will the Patriots Try “Revis Island” This Week? No one has slipped more this season than the Jets $70 million-dollar man. However, don’t make a mistake about this, while the Patriots are being given lots of kudos for passing on Revis’ 5-year, $70 million-dollar deal with $39 million fully guaranteed, they still were offering big bucks for the talented corner to return. But if Revis did show signs of slowing down last year, then he’s definitely sliding in 2016. By his own account, his body is breaking down on him and the the air of invincibility of him is gone. No longer are teams only looking at the other side of the field, they can now specifically target Revis in their game plan. That thought was blasphemous not long ago. It will be interesting to see if the bye week rejuvenates Revis to play at least for a week, to the level we’ve become so accustomed to. But it wouldn’t be surprising to see the Patriots test the waters of Revis Island this week. 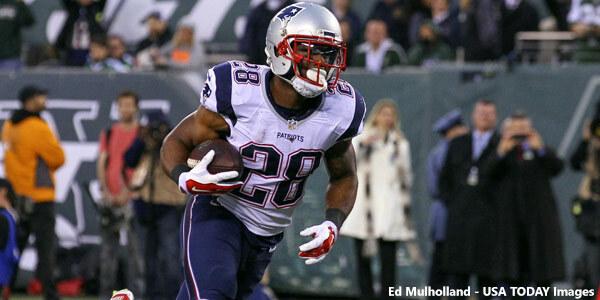 This entry was posted in Patriots Commentary, Patriots News and tagged 2016 NFL Season, 2016 Patriots season, Bilal Powell, Bill Belichick, Brandon Marshall, Darrelle Revis, Leonard Williams, Matt Forte, New England Patriots, New York Jets, NFL, Patriots, predictions, Quincy Enunwa, Rob Gronkowski, Ryan Fitzpatrick, Todd Bowles, Tom Brady on November 23, 2016 by Steve Balestrieri. There was a flurry of activity on the first day of the NFL’s Free Agency period as teams rushed to sign the first batch of free agents to some huge contracts. The Patriots kicked the tires reportedly on several players available, but decided and wisely so, to sit back and let the overspending flurry play itself out. It is a familiar tactic they’ve used for several years. The Patriots made very little noise in the opening hours, just re-signing a backup swing tackle, LaAdrian Waddle and a backup linebacker/special teams’ player Ramon Humber from the New Orleans Saints. The team was supposedly in on negotiations with WR Marvin Jones, RB Matt Forte, WR Rishard Matthews who all ended up signing with other teams. Jones signed with the Lions in an attempt to be a #1A or #1B type receiver for Detroit now that Calvin Johnson has retired. Forte was widely linked to New England since the end of 2015 but signed with the Jets who lost Chris Ivory and appears to be set to lose Bilal Powell as well. Matthews, the former Dolphin WR who was deemed a good fit for the Patriots agreed to a deal with the Titans last night. The other WR linked to New England, Mohamed Sanu, another player who would fit the skill set, size and speed need for the Pats offense is visiting Atlanta today and reportedly will then come to Foxboro next. With the Falcons rumored to be ponying up in the neighborhood of $7 million dollars per year, that would knock the Pats right out of contention. What’s in store for Day 2: The Patriots traditionally have made their moves on the second day of free agency after the initial frenzy of over-priced contracts dies down. Last year, they signed DE Jabaal Sheard on Day 2 and at the time, that generated little buzz on the NFL timeline but paid big dividends for the team. Two years ago on Day 2 is when the entire Darrelle Revis deal fell to the team after they lost Aqib Talib on the opening day of free agency. So while fans were clamoring for something…anything to be done by the team, look for them to be more active today. Who’s still out there? There is plenty of talent left in the pool and for the Patriots needs at running back, Powell is still in the mix as well as Alfred Morris, Arian Foster and RFAs Benny Cunningham, Khiry Robinson and C.J. Anderson of the Broncos. Of course, there’s still LaGarrette Blount who made it clear earlier this week he’s open to and very willing to return for a final season in Foxboro. Wide receivers still on the market include Sanu, although it is doubtful he leaves Atlanta without a contract. Jermaine Kearse, Anquan Boldin, Rueben Randle, James Jones, Percy Harvin as well as recently released Jeremy Kerley and Mike Wallace may interest New England. For tight ends, the pickings are a bit slimmer with Jacksonville’s Clay Harbor and former Bengal and Cardinal Jermaine Gresham still out there as players who may interest the Pats. One player who is still on the market that will bear watching is the Patriots Akiem Hicks. The Patriots are still interested in bringing the interior defensive lineman back and he was sitting back and watching things unfold yesterday. But Hicks has to be pleased seeing the huge contracts given to both Malik Jackson and Olivier Vernon. If those contracts are any indication, Hicks too will be moving on as those contracts are way over what the Patriots will be willing to spend. There is still time to get long-term deals done with their own players Dont’a Hightower, Jamie Collins, and Malcolm Butler. The team would be smart to lock up Sheard with a long-term deal as well this offseason. The Patriots took the smart approach and stayed away from the massive over-spending that the bottom-feeders traditionally do on Day 1. Now is when the work really begins. This entry was posted in 2016 Free Agency, Patriots Commentary, Patriots News and tagged 2016 Free Agency, 2016 free agents, 2016 NFL Free Agency, 2016 NFL off-season, 2016 Patriots Roster, Alfred Morris, Anquan Boldin, Arian Foster, Bilal Powell, Bill Belichick, Jeremy Kerley, Jermaine Kearse, Marvin Jones, Matt Forte, Mohamed Sanu, New England Patriots, NFL, Patriots, Percy Harvin, Rueben Randle, Tom Brady on March 10, 2016 by Steve Balestrieri. The NFL’s Legal Tampering Period is underway and already we’re seeing the same comments on social media that we see every spring. “What are the Pats/BB waiting for?” “They need to get (insert any name) asap.” “Brady’s window is closing and if they’re asleep, they’ll miss out on the best free agents and miss the playoffs.” Any of these sound familiar? They should. But to quote Packers QB Aaron Rodgers… RELAX. Teams that jump both feet into free agency on Day 1 and win the day, rarely are around when the smoke clears in January. In fact, usually, the opposite is true. Look at the mistakes of the Philadelphia Eagles which should be a beacon to those who want to sign everybody…now, asap. The old adage, Caveat Emptor (let the buyer beware) is the rule of the day. In 2011, the Eagles had Mike Vick as their QB and the electrifying if injury prone and inconsistent signal caller had Philly abuzz entering the offseason. Andy Reid and the Eagles pushed all their chips into the middle of the table and tried to sign every big name free agent out there. Backup QB Vince Young, CBs Nnamdi Asomugha, Dominique Rodgers-Cromartie, DE Jason Babin, RB Ronnie Brown, DT Cullen Jenkins, WR Donald Lee and G Evan Mathis were quickly signed by Philly. Young quickly dubbed the Eagles the “Dream Team” and talk was of multiple championships not just one in store for them. The reality was much different, the Eagles started off 1-4 and slept walked thru an 8-8 season, missing the playoffs. Fast forward to 2015, just four years later. With Andy Reid now in Kansas City, Chip Kelly was going to dismantle the team and create a new powerhouse in his image, jettisoning several players including Mathis, the last of the former “Dream Team” members, QB Nick Foles, Trent Cole, LeSean McCoy and Jeremy Maclin. They brought in QB Sam Bradford, RBs Demarco Murray and Ryan Matthews, LB Kiko Alonso WR Miles Austin, and CB Walter Thurmond III. Once again, reality set in and the Eagles were a mess, starting 1-3 and limping to a 7-9 finish, out of the playoffs. Kelly was fired in December. Now the team is already trading away those big contracts shipping Alonso and Maxwell to Miami. Late last night Murray’s agent was tweeting that he’s being traded to the Titans and rumors persist that Matthews is on the trading block as well. The Patriots and Bill Belichick are beginning the free agency period like they always do; they released or told some of their restricted free agent players that aren’t in their plans for the year to allow them plenty of time to find a new home, (Brandon LaFell, Scott Chandler, Darius Fleming, Brian Tyms, Sealver Siliga), and re-did the contract of QB Tom Brady extending him out through the 2019 season. They picked up the option for TE Rob Gronkowski keeping him likewise through the 2019 league year. They offered tenders to some of their prized role players, bringing back FB James Develin, CB Justin Coleman, S/LB/STs Brandon King and have cleared up some money to allow them some flexibility to approach free agency with fiscal responsibility, not reckless abandon. Are there some big name free agents out there that interest them? Of course, and they’ll kick the tires but don’t expect them to make a bunch of splash moves on Wednesday. There are plenty of RBs that would be a nice fit with the Pats but don’t be shocked if the team brings back LaGarrette Blount and then looks to the draft for a player in the mid rounds if the asking money gets too high and the bidding gets out of control. A great example of that is TE Dwayne Allen who was on many writers’ radar as a possible target for the Patriots in free agency. The Colts re-signed Allen on Monday with a 4-year deal worth around $29.4 million dollars. While he may be worth that for the Colts to keep around, paying more than Rob Gronkowski for a guy who had 16 catches for 109 yards and 1 touchdown in 2015? That’s just bad business and the kind of moves the Pats rarely make. The same can be said for the wide receivers out there. The teams that overspend on Day 1 invariably end up eating some of those high priced contracts (see Maxwell), who while is a very good player, isn’t worth the price Philly paid last year and now has been dealt to the Miami Dolphins where Mike Tannenbaum never met a big money contract he didn’t like. Belichick has a plan, there are players they will obviously want to bring in during free agency, but there’s always a ceiling, a fiscal threshold they won’t cross. And if that is crossed, they’ll look elsewhere for help. The Patriots don’t build Dream Teams, but solid team foundations that take into account all 53 men on the roster. So while it may get frustrating at times for Pats fans, remember this nobody has had the kind of success the Patriots have since Belichick took over in Foxboro…and it isn’t even close. This entry was posted in 2016 Free Agency, Patriots Commentary and tagged 2016 Free Agency, 2016 free agents, 2016 Legal tampering window, 2016 NFL Free Agency, 2016 NFL off-season, 2016 Patriots Roster, 53 Man Roster Projection, Bill Belichick, Dream Team, Dwayne Allen, LaGarrette Blount, Matt Forte, Mike Vick, New England Patriots, NFL, Patriots, Philadelphia Eagles, Rob Gronkowski, Tom Brady, Vince Young on March 8, 2016 by Steve Balestrieri. Brady/Pats Extend Contract to 2019: Sources told ESPN’s Adam Schefter and Diana Russini that the Patriots will extend QB Tom Brady’s contract thru the 2019 season. Brady was signed through the 2017 season and was set to make $10 million in 2017 and $9 million this year. His salary cap hit of $15 million will most certainly come down now as a result. With the extension and if Brady plays the entire length of his contract, Brady will be 42-years old and will have spent at least 20 years with one team, becoming one of only three players to do so. He’ll join Jackie Slater and Darrell Green as the only players to do that. The contract isn’t signed yet, but it is expected to save the team between $2-3 million dollars against this season’s cap which is important because the team is looking to extend defensive stars Dont’a Hightower, Jamie Collins, Malcolm Butler and Chandler Jones to long-term deals to keep them in New England for the foreseeable future. Backup QB Jimmy Garappolo is signed thru the 2017 season. Brady Court Hearing Takes a Bad Turn: In the latest court news fallout from the Deflategate fiasco, the NFL’s case seemingly looks stronger again as at least two of the three judges in the appeals case on the surface appeared to take the NFL’s side in their questioning. Their decision isn’t expected to be handed down for several months but most onlookers in the court expect the league’s suspension to be reapplied. Patriots Begin Roster Trimming: The team this week cut WR Brandon LaFell, TE Scott Chandler and LB Darius Fleming as well as telling RFAs WR Brian Tyms and DT Sealver Siliga that they won’t be offered new deals, effectively ending their time in New England. LaFell was only a year removed from a combined regular season and playoff run from a 1000-yard year. But offseason foot surgery held him out of all of spring and summer workouts. Once he did return, he struggled badly and ended up with only 37 catches and zero touchdowns in 2015. Chandler too struggled badly last year and finished with just 23 catches. His knee issues bothered him all down the stretch and he failed his physical. Fleming was a backup linebacker who played sparingly in the absence of both Hightower and Collins. Both Tyms and Siliga were depth personnel and on the surface, their departure, as well as Fleming is a bit surprising as they won’t get a chance to win a spot at training camp. But since they don’t fit into the Patriots plans, the decision to release them now both frees up some cash and allows them a chance to latch on with another team quickly. Running Back Depth: The team desperately needs a big back who can run between the tackles and catch some passes out of the backfield. A couple of names that continue to surface for NE include Matt Forte, Chris Ivory, and Alfred Morris. Offensive Line Depth: The core of the interior OL is set with either 2nd or 3rd -year players, an added veteran would serve them well, possibly a return of Josh Kline. At the tackle position, ideally, they would find a right tackle as a replacement for Sebastian Vollmer and move him to swing. Wide Receiver: With Tyms and LaFell both gone, now this is more than a depth need, they need youth, size and some speed on the outside. Don’t expect a big splash name but some solid veterans include Chris Hogan, Rishard Matthews and Rod Streater with more pieces added in the NFL draft. Linebacker Depth: Collins and Hightower are set, the team still has some depth behind them with Jon Bostic and Jonathan Freeny but could use another linebacker to augment them. Tight End: With Chandler gone, it is Rob Gronkowski, Michael Williams who is a blocking tight end and 2nd year player A.J. Derby who missed all of 2015 on IR. Mike Reiss pointed to former Colts TE Dwayne Allen as a possible fit and he’s a good receiver and blocker who would be of interest…if the price is right. Dolphins Bring in Mario Williams: Miami is looking to augment its pass rush and brought in free agent Mario Williams for a visit on Saturday. Williams was released by Buffalo on Tuesday and is free to sign with any team now but has stated he will make several visits before deciding on a new team. Miami placed a $12.734 million-dollar transitional franchise tag on DE Olivier Vernon. Which means he can negotiate with other teams but gives the Dolphins the right of first refusal. The status of DE Cameron Wake who is 34 and coming off an Achilles injury is still somewhat hazy at this point as well. Williams struggled in Buffalo in the first year of the Rex Ryan regime and at times was outwardly critical of how he was used and the game planning. In his first three seasons in Buffalo Williams tallied 38 sacks but that number plummeted to just five in 2015. Jets Aren’t Expected to Be Big Players in Free Agency: After making a splash last year with a number of big name signings, the Jets don’t have the flexibility monetarily to be big spenders in 2016. The biggest question now is QB Ryan Fitzpatrick and how much and how long he gets. NY GM Mike Maccagnan can’t be a happy camper seeing the deal that Sam Bradford got with the Philadelphia Eagles because that just drove up the price for Fitzpatrick’s contract. Damon Harrison should probably be back and then the team will have to make a decision on which running back Chris Ivory or Bilal Powell remains. Right now the money is on Powell remaining with Gang Green but it is possible the Jets could lose both in free agency. Look for them to start cutting some middle of the roster veterans to create some cap space. Right now the Jets have about $7 million dollars in cap space to work with. Bills Release Long-time CB Leodis McKelvin: Williams wasn’t the only notable member of the Bills released this week as the team released Leodis McKelvin after he refused to accept a pay cut. McKelvin, 30 immediately becomes a free agent and should draw significant interest even though he suffered through an injury-shortened 2015 season that saw him play in only nine games. He’s been with the Bills since being drafted in the 2008 NFL Draft as the 11th overall pick by Buffalo. The team is still in good shape at cornerback with Stephon Gillmore and 2nd year player Ronald Darby who shined as a rookie. The release of McKelvin is expected to free up $3.9 million dollars and now gives Buffalo around $13 million in cap space. Help Save and Rescue Dogs and Meet a Patriots Legend: Odie’s Place is a registered 501c3 Animal Rescue organization run by Brian Harrington and his wife Kerrie down in Dartmouth, Mass. They rescue dogs that are either in a bad situation or from shelters that are about to put them down. Rescuing these animals, placing them in temporary foster homes and finding them a safe, happy permanent home is time-consuming and takes money. 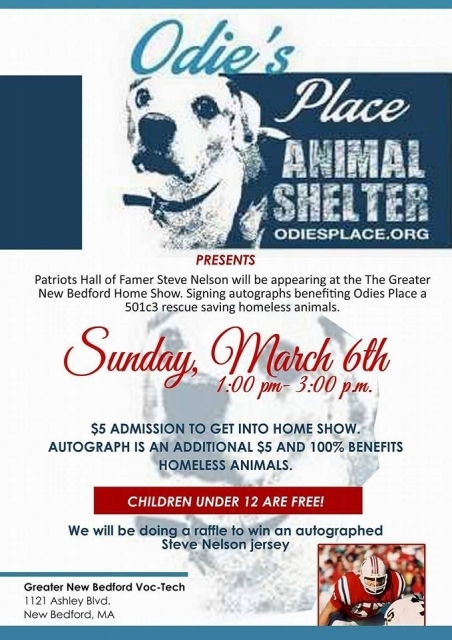 Today, Sunday, March 6 at the New Bedford Home Show, he’ll be doing a fundraiser with Patriots Hall of Famer Steve Nelson who’ll be signing autographs for a small fee with all of the money going to Odie’s Place. They’ll also be raffling off a Nelson jersey that will be autographed by Nellie on site as well as taking some pictures with fans. Come down and support a great cause and talk some football with a Pats legend…BTW my own family recently adopted a two-year-old English Bulldog from Odie’s Place and we are happy to have added her to our household. This entry was posted in Patriots Commentary, Patriots News and tagged 2016 Legal tampering window, 2016 NFL Draft, 2016 NFL Free Agency, 2016 Patriots Roster, 53 Man Roster Projection, Alfred Morris, Bill Belichick, Brandon LaFell, Brian Tyms, Chandler Jones, Chris Hogan, Chris Ivory, Danny Amendola, Darius Fleming, DeflateGate, Dwayne Allen, Jabaal Sheard, Julian Edelman, LaGarrette Blount, Malcolm Butler, Matt Forte, New England Patriots, NFL, Patriots, Pittsburgh Steelers, Rishard Matthews, Rob Gronkowski, Rod Streater, Roger Goodell, Scott Chandler, Sealver Siliga, Tom Brady on March 6, 2016 by Steve Balestrieri. The Patriots are set to enter the free agency phase of the 2016 off-season and we’ll explore some of the biggest needs of the team moving forward. And some of the names of their own free agents as well as some of their potential targets. Given the injuries to the offensive line and then losing both starters (Dion Lewis, LaGarrette Blount) to IR during the season doomed the Pats running game in 2015. Truth be told, they ran the ball very poorly overall for most of the season and it was a major reason for their failure in the AFC Championship Game. Play-action passing, a big staple of their offense was rendered moot, when they ran only 14 times, and were ineffective on all of them. The team really needs a big, physical running back that can grind out the yardage between the tackles, take the heat off of Tom Brady and the passing game and have the ability to put games away late. Being in the Patriots offense, the ability to catch the ball out of the backfield as well as pass protection are things that are always important as well. 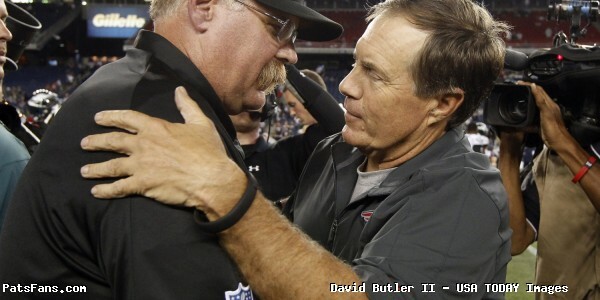 This entry was posted in Patriots Commentary, Patriots News and tagged 2015 NFL Season, 2015 Patriots Season, 2016 NFL off-season, 2016 Patriots Roster, 53 Man Roster Projection, Alfred Morris, Bill Belichick, Brandon Bolden, Chris Ivory, Dion Lewis, James White, LaGarrette Blount, Lamar Miller, Matt Forte, Miami Dolphins, New York Jets, NFL, Patriots, Patriots running backs, Pittsburgh Steelers, Rob Gronkowski, Tom Brady, Tyler Gaffney on February 15, 2016 by Steve Balestrieri.